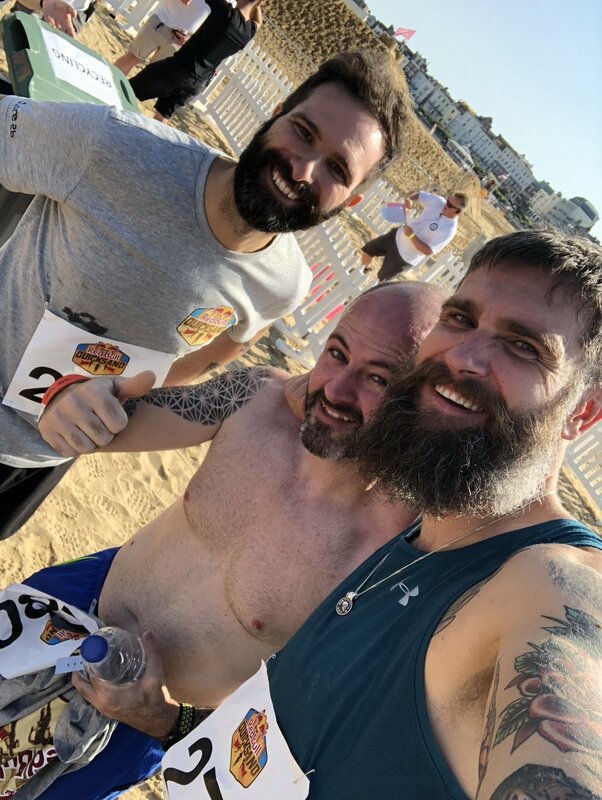 A few of us ran the Eltham 10k on the 13th Jan. It was organised by MCC promotions and took place in Sutcliffe Park near Kidbrooke. The race started on the track and then took in some loops of the park and finished with a lap of the track. Pretty well organised and friendly marshals on the changes indirection along the route. Stewards enquiry over the distance though, we all had it 100m short. It was a pretty grey day but the conditions were good other than a head wind when turning South (that must’ve meant a tail wind heading North). A decent way to spend an hour on a Sunday, coupled with the fact the event took place on our doorstep, which meant we had to represent!! I think this was the first race organised here and we’ll definitely be on the look out for more. It’s a good way to keep check of our sharpness and you cannot replicate race day nerves, so all experience can be used in a beneficial way. That’s all. Keep going, keep the consistency and you’ll definitely reap the benefit. February is another 4 weeks to grow into the year, up the ante and move towards your goals. Whatever they may be. Knox Robinson, a New York runner says that running is an act of rebellion. That it enables you to free yourself from the shackles society has constructed for us and the limits and walls we put up internally. He’s right of course, however it’s not just running. It’s true that running is in it’s simplest form, what we evolved to be. Upright runners. And whilst the run remains the building block of our activities, we find that group training and exercise brings it’s own freedoms. 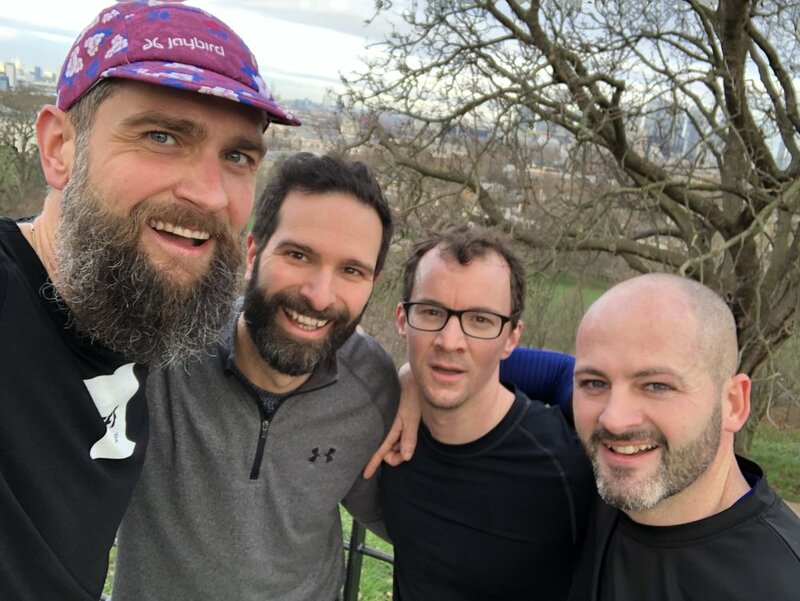 The camaraderie of community, the sharing of problems on the chat lap weeks, the support the crew provide, the galvanising affect of workout on a life. It can all start with that one decision to get involved or meet up with a new set of people. Some people love the run, they feel it in the way a person of faith might feel a Sunday sermon. Some others, not so much. They hate it. One truth emerges from each and every get together. Nobody regrets it. It’s been week of promoting awareness of mental health issues. Over here in our little crew we fully understand the link between physical activity and mental health. Is it a magical cure, no. Can it be a really positive and influential tool to manage mental health, most definitely. Even more so if that activity takes place outdoors. A study by The Peninsula College of Medicine and Dentistry found that exercising outdoors showed a measurable increase in someones mental well being. More research is needed into this but it’s clear to the EFF - Move where you can, if it’s in a gym or at home, great. If it’s outside, even better. Get away from the screens and connect with yourself through the medium of activity. By creating these positive habits you’re going to give yourself a foundation to make improvements in other areas of your life. As we said, physical activity is no magical cure. If you’re feeling it, talk to someone. Don’t struggle alone. If you’re around the Eltham area, come along on Wednesday’s. You might just make something click. We were back on home turf this week. The summer nights are nothing but a pleasant memory. The slight chill and the tangerine glow of the Eltham Park South car park lamps is a stark reminder of the colder nights and inclement weather to come. Our spirits are buoyed by a new face, the run and the circuits get us sweating soon enough and we depart having had a good workout. We've decided to undertake an endurance event in aid of a local charity. Details to be revealed soon. 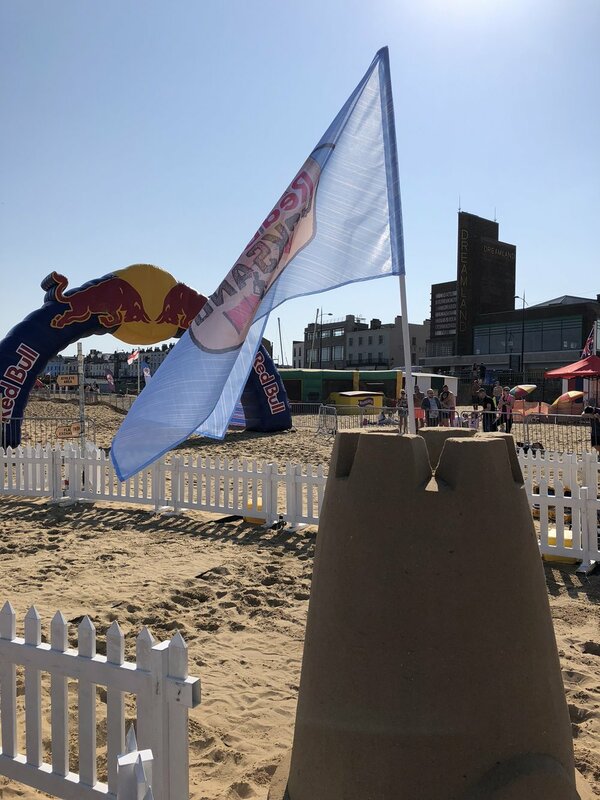 This Saturday saw some of us hit Margate for the inaugural Red Bull Quicksand event. A one mile beach run over dunes, moguls and ditches near the world famous Dreamland. Anyone who took part is likely to confirm that this would be the hardest mile your'e ever likely to run. Completely lung busting but enjoyable all the same. Big shout out to Scott for making the semi. Some sore limbs but big smiles. Music, entertainment and goodwill throughout the day. A great way to get the body moving and great to head out of town for a change.